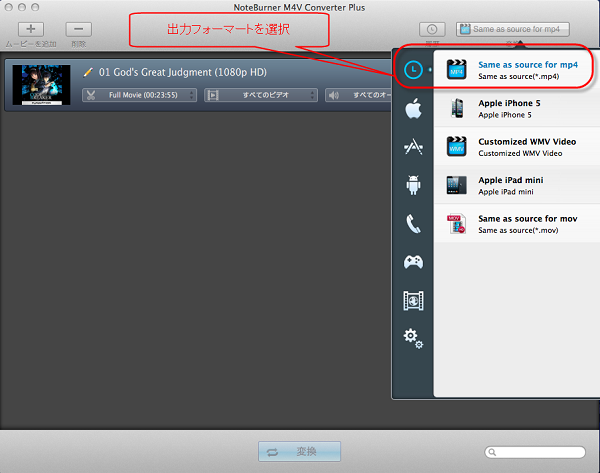 1: Any Video Converter Ultimate for Macのような録画ソフト. 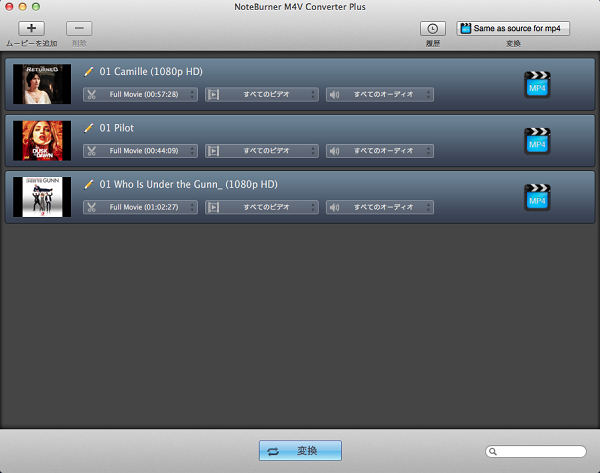 2: Noteburner M4V Converter Plus for Mac という DRM 解除ツール. Step 3. 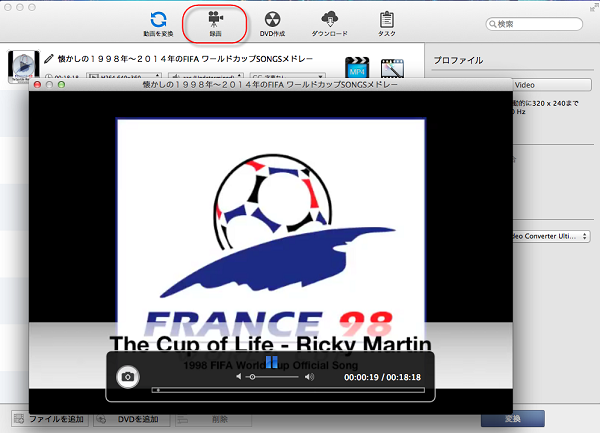 DRM M4V を MP4 に変換.